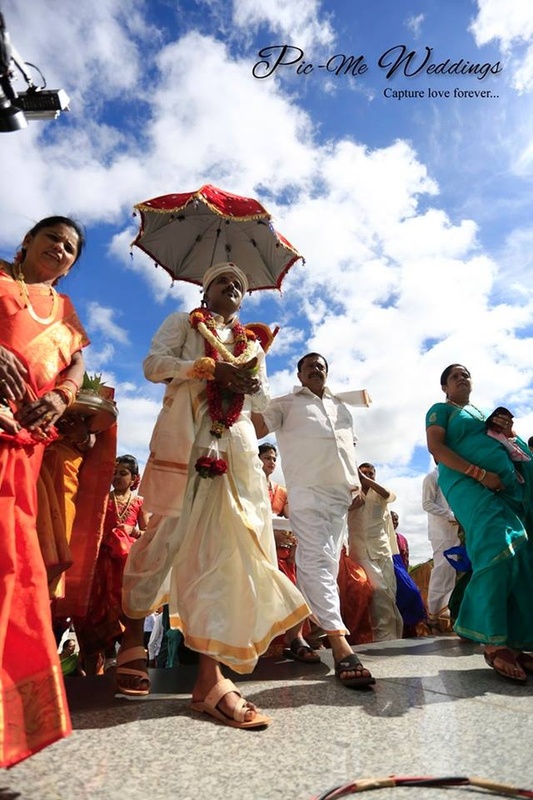 Divesh and his whole entourage walked under a clear blue sky towards a wedding venue that spoke of grandoise and magnificence. 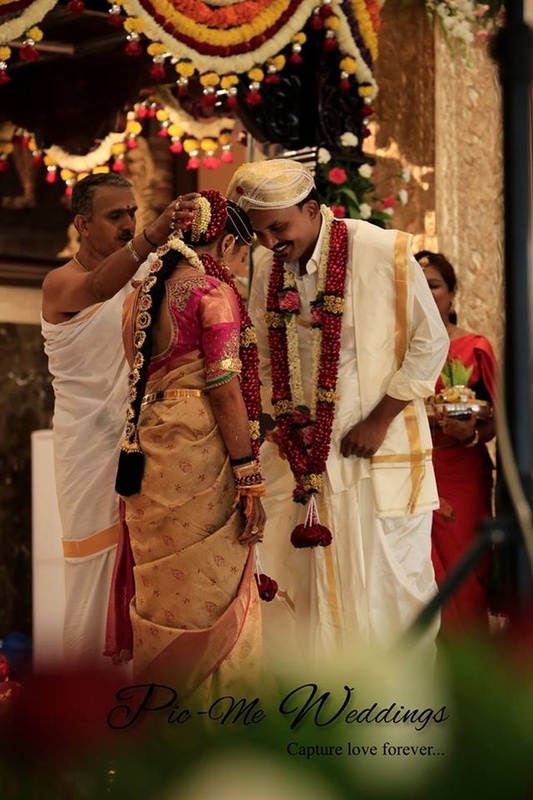 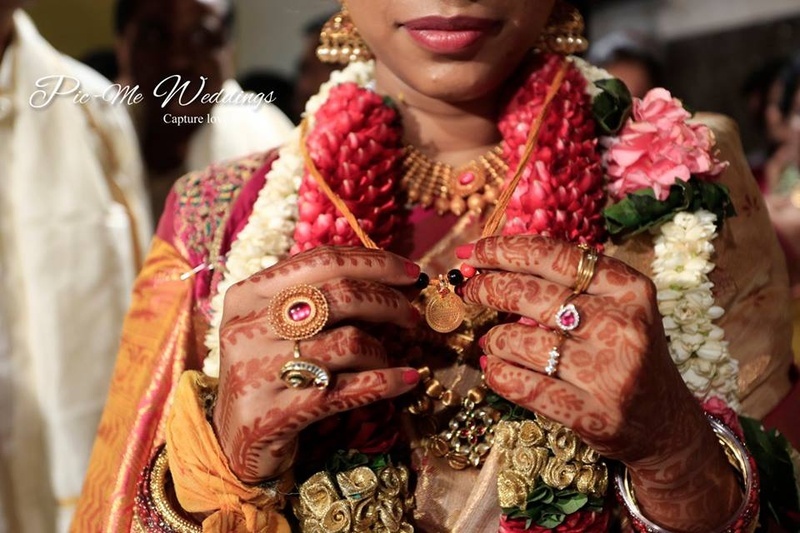 Dressed in traditional South Indian wedding attire, he wore a crisp white shirt and silk dhoti with golden zari along with a matching angavastram and was ready to make Anusha his bride! 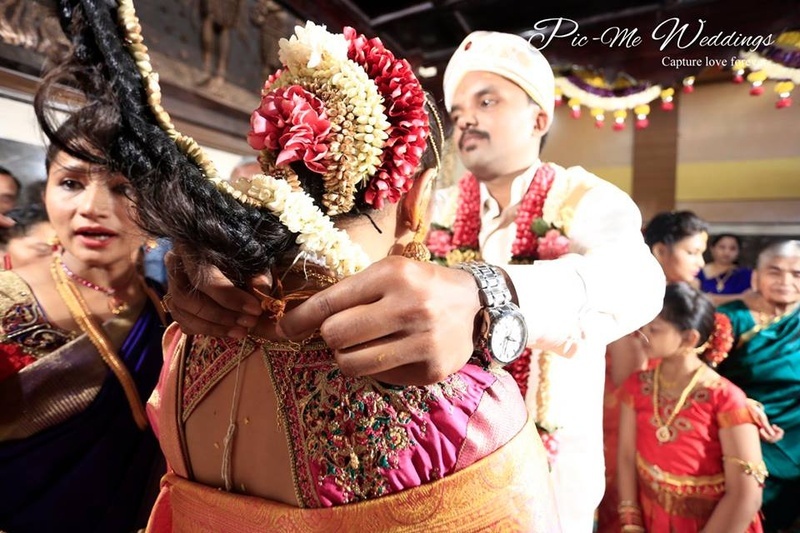 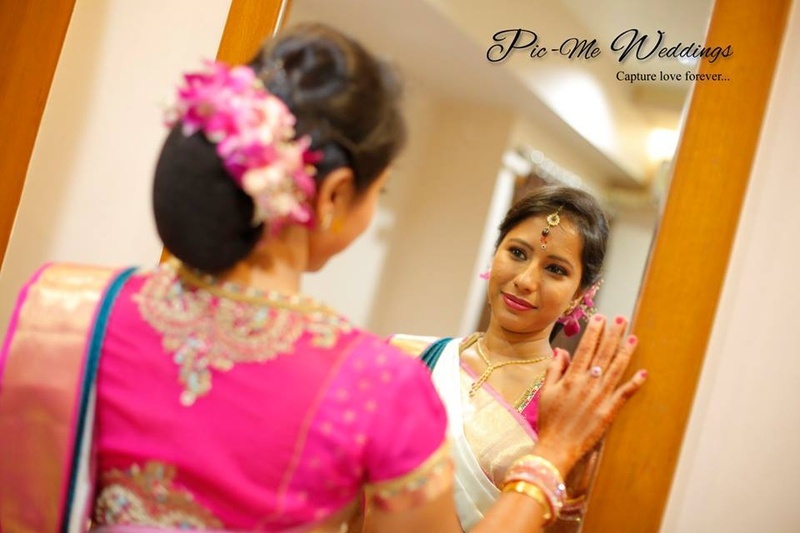 Anusha looked absolutely ravishing in her beige and peach pure silk Kanjivaram saree that she accessorized with minimal bridal jewellery. 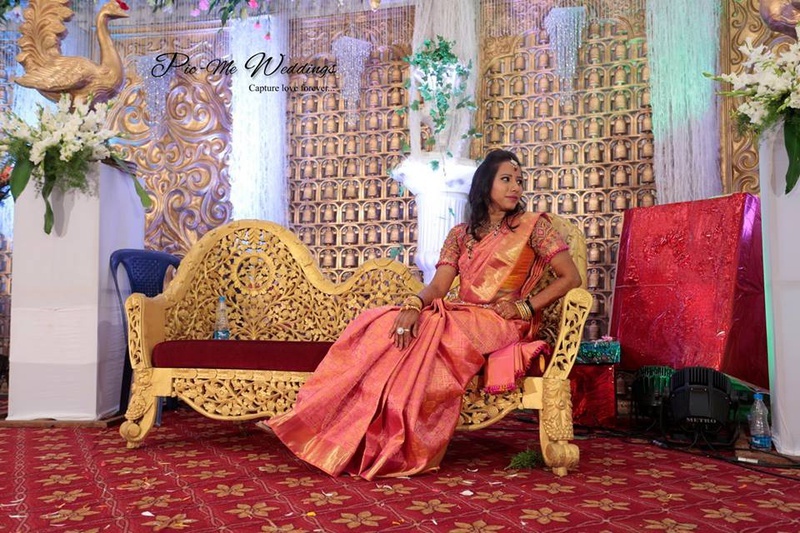 After their traditional South-Indian union, Divesh and Anusha picked unconventional props for their post-wedding photoshoot. 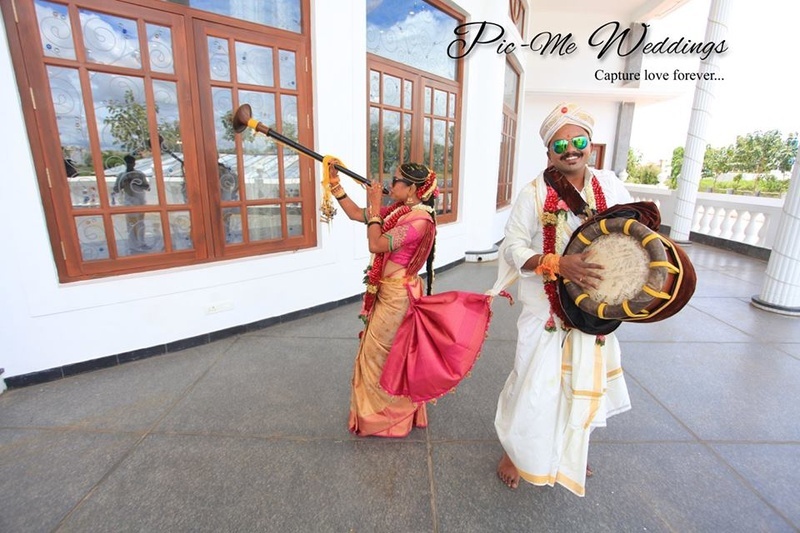 They posed with a Shehnai and Dholi with their wedding attire still tied in gath, signifying the union of two individuals for a lifetime. 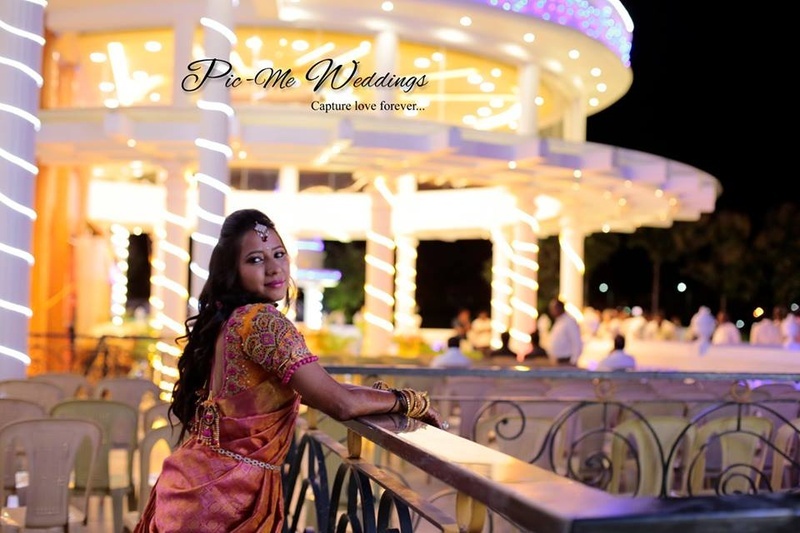 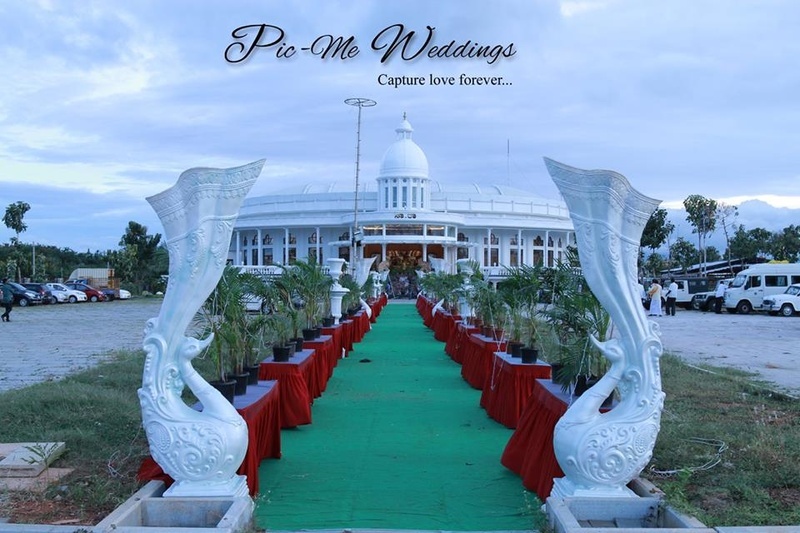 Every beautiful shot from this wedding was captured by Pic-Me Weddings. 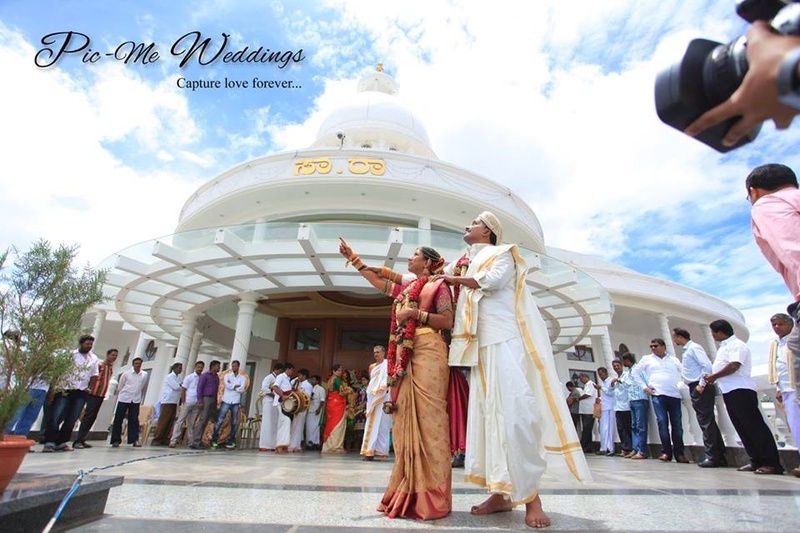 Scroll down to see a few images from their big day!